Not all in-room safes are equal! Only Elsafe offers a true in-room security solution with a sophisticated blend of advanced security features, technology, convenience and style. 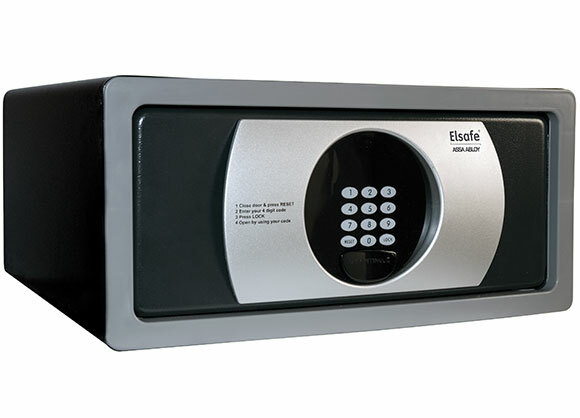 Elsafe took their in-room safe to the world's most recognised and respected product testing organisation, Underwriters Laboratories (UL). 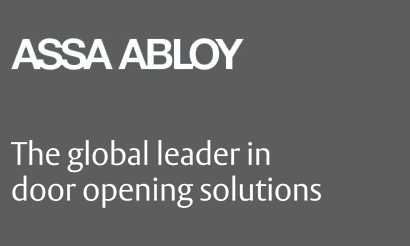 After enduring rigorous testing procedures by UL, the Elsafe Infinity model became the first UL listed in-room safe in the 1037 category for anti-theft devices. This prestigious UL listing is now awarded to both Infinity and Sentinel models having both passed the required physical break-in tests, endurance tests and jarring tests. A handheld Service unit is used with our safes to carry out service openings, manage the configuration of the safes and download audit trails of the safe's events. The audit log in both the safe and handheld unit store the history of the safe's openings. This includes the time, date, room number and whether a guest opening or authorised hotel staff service opening has occurred. With Elsafe security such as this, not only will your guest's property be protected but also your property's valuable reputation! 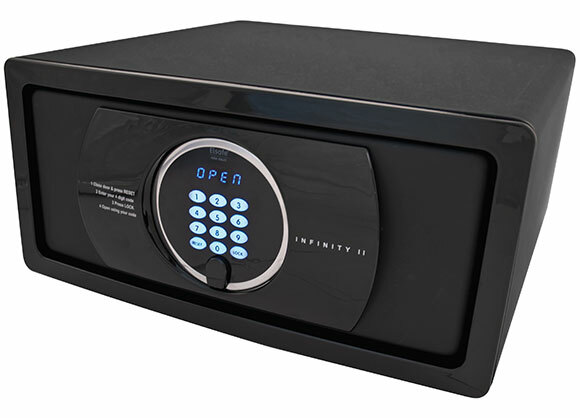 Elsafe Infinity II is the ultimate safe for the design conscious, combining sophisticated technology with fashionable design. Elsafe Sentinel II delivers a functional and trendy design with the same unmatched security standards that Elsafe is renowned for. 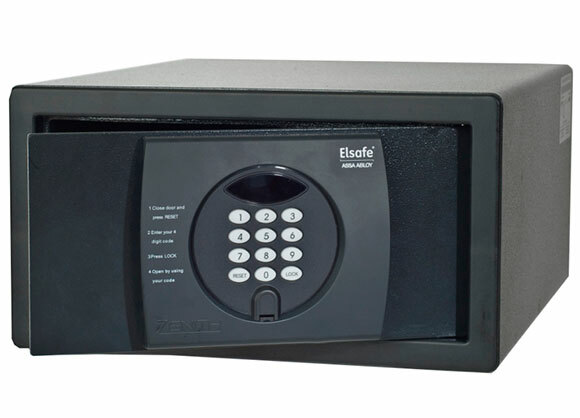 Elsafe Zenith provides advanced security at an affordable price. 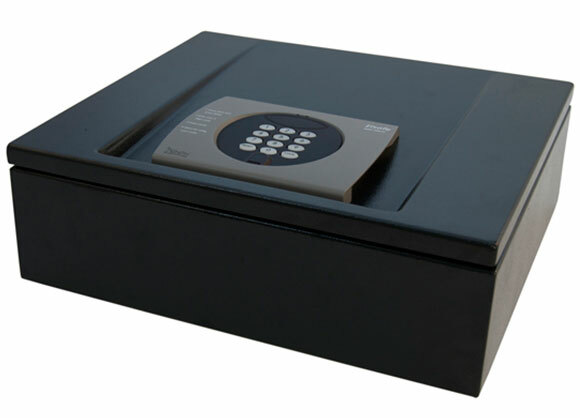 The Zenith Drawer Safe fits perfectly in any drawer, cupboard or closet. 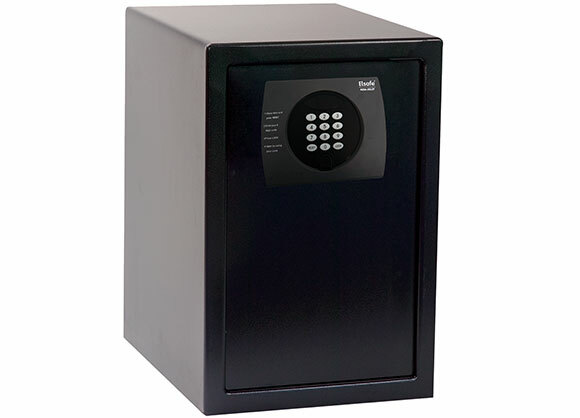 The Zenith Floor safe is a spacious floor-mounted safe that will accommodate larger items. 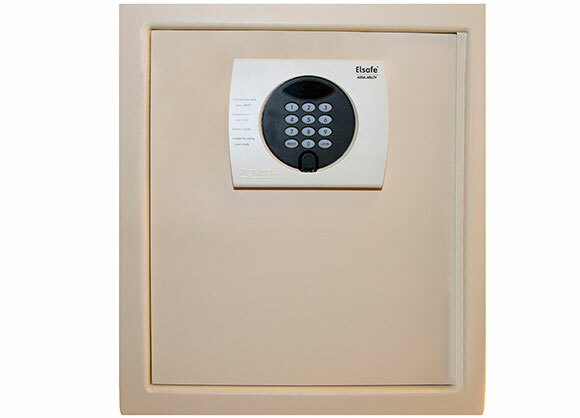 The Zenith In-Wall Safe can be fitted on a cupboard wall as well as on the guestroom wall. © 2016 Afro Exports Ltd.